DVDs do not require frequent cleaning. In fact frequent cleaning may spoil the DVD. Hence it is best to clean the DVD when it is absolutely necessary. You can clean the DVD before storing it and when you notice contamination on its surface. You can also clean the DVD when you find that the readability is impaired. Use a soft cloth and a special cleaning solution for your DVDs. You should avoid using any kind of organic solvents. Also refrain from using harsh solvents like acetone and benzene as these will dissolve the material on the DVD known as polycarbonate. As a result your DVD will be damaged beyond repair. Instead you should use mild solvents like alcohol and methanol. This is because these mild solvents have the tendency to evaporate quickly and also polycarbonate material on the DVD will not be dissolved. You can use special water based lens cleaners as well. These cleaners are available at all local and computer stores at very reasonable prices. Water based detergents can also be used. The DVD’s surface is made up of polycarbonate substrate which is transparent and delicate. Hence when the surface is cleaned with a solution there is a risk of contamination or scratching of the DVD. Hence you can follow the tips that are mentioned below. First of all use an air puffer to blow off any dust that has settled on the DVD. Then use a dry and soft cotton cloth to wipe the disc carefully. Wipe with the dry cloth before you apply any solution on the DVD. 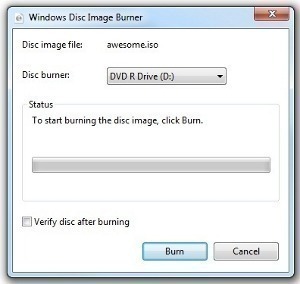 Do not wipe the DVD in a round direction. You should start wiping from the center of the disc and then moving to the edge. Never use paper products such as lens paper in order to clean the DVD. Do not use any abrasive on the surface of the disc. Try rinsing heavy accumulation of dirt on the DVD by rinsing it with water. Use only special water based detergent formula for cleaning the optical surface. You can use alcohol or methanol is well to clean the surface of the DVD. DVDs should be cleaned only occasionally, such as once in a month with a non abrasive damp cloth. Do not use hard water; you should use bottled water instead. You can, however, use lukewarm water. When you are using air to blow off the dust, do not use canned air as it can be very cold and it can cause the DVD to crack. Here are some suggestions for cleaning specific types of contamination. 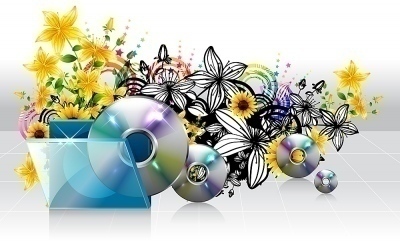 DVDs often collect dust from sitting on counters, in drawers, or other places and not being used on a regular basis. Dust may seem like it is nothing to worry about but it can block DVD readers from properly scanning the disk. Dust can generally be removed by wiping the disc with a cloth. While most users wipe the disc off on their shirt, pants, or other rough fabric, this can scratch the disc and cause more harm than good. Preferably, use a microfiber cloth to clean your discs as these are much softer than regular fabrics and can remove more dust and residue from the disc. A microfiber cloth is the same type of material that is used to clean eyeglasses and telescope lenses. This type of material will not scratch the disc, which could cause even worse problems. In addition to removing dust, a microfiber cloth will also remove fingerprints, oil spots, and other loose residue that has built up on the disc. Spots are bit trickier to remove than dust as they can be the residue of a chemical or other liquid. Body lotions, hair sprays or other aerosols that are sprayed near the disc, and liquids the disc may be laid in cause oil spots. However, the most common cause of oil spots is oil from the human skin, which can be rubbed onto the disc whenever the user touches it. To minimize oil spots, users should be sure to never touch the surface of the disc and always hold the disk by its outer and inner sides. Most of these spots will come off of the disk when the user wipes the dust off with a microfiber cloth or tissue paper. If some are left over, or the disk still doesn’t work after wiping it with microfiber, try dampening a wad of tissue paper in vinegar or Windex and wipe the disc again. As vinegar contains acetic acid, it is able to break down thicker amounts of residue than a simple wipe. Vinegar should be able to remove any spots, stains, or leftover oil that remains on the disc. Users should take precaution while wiping the disc so as to not scratch the disc. Place your pointer finger through the center of the disc with your thumb holding the exterior side. Then wipe the disc starting from the center and moving the tissue paper outward towards the outer edges of the disc. 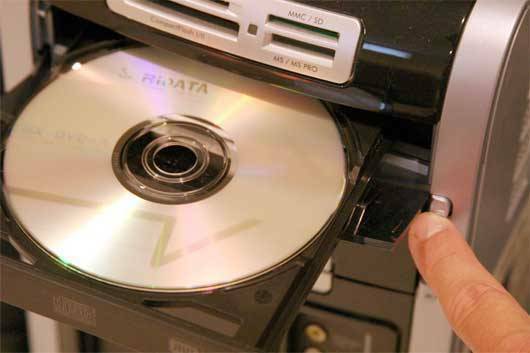 Then rotate the disc as you are wiping it down in this manner. You should not wipe the disc in circles as this can cause the vinegar to dry unevenly later on and cause more problems. Once the disc has been completely wiped down with vinegar, the disc should be left to dry completely and should not be used until then. The most devastating event that can happen to a DVD is for it to get scratched. While dust and spots can be easily removed from disks, scratches must be repaired. There are two forms of scratches: light scratches and deep scratches. A light scratch can be identified as a slight indention or line in the disk and can usually be easily repaired by gently rubbing a tiny bit of toothpaste into the scratch with a moist cloth or a wet fingertip. Toothpaste is an abrasive which means that it will break down the edges of the scratch, and that should allow the disc reader to skip over that spot. Deep scratches, on the other hand, can appear to be cracks in the disk, and can be identified by holding the disk up to the light and seeing if and where light is shining through. Deep scratches are usually much more difficult to repair and usually mean the end of the disk, as the data that was on scratched areas is now probably missing. When this happens, it is usually time to find a new copy of the disc. If you can get the disc to play, however, copy its contents to a new disc as soon as possible because it is not guaranteed that the disc will remain playable. It is a good idea for all disc users to have a standard CD/DVD cleaning kit, especially if you have a large CD/DVD collection. This will help you repair disks as they malfunction rather than throwing them away or leaving them broken. CD/DVD cleaning kits can be found at many computer repair stores or found online. It is also possible to make them yourself. This kit may include toothpaste, a microfiber cloth, vinegar or window cleaner, and a professional disc polish. Where does one buy “special cleaning solution” for your DVDs? 131 queries in 0.244 seconds.